Gems Memory is a free Windows 8 Game App that lets you enhance your memory in a more interesting and fun way. 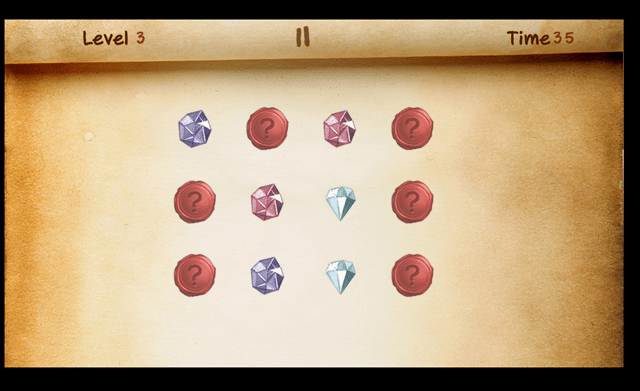 Memory Gems is an offline game for kids. It’s a puzzle game which will help you increase your memory power. You don’t have to be a genius to play this Windows 8 game. Just have fun while playing it. With a sharp edge graphics and easy to control game play, this game app for Windows 8 is quite interesting and mind refreshing game with a simple interface and a number of cool levels. This Windows 8 game app needs a high performance. You can share your high scores with your friends, just like you do all the time while you are playing a game and always boast to your friends. Let me show you the interface. 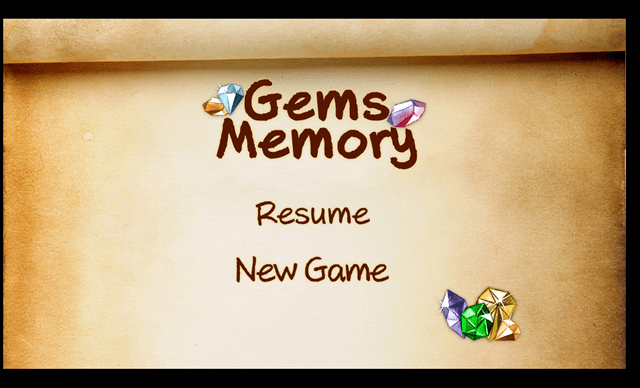 Gems Memory for Windows 8 is quite simple to play. You just have to pair the gems with its concurrent match. And you have to remember the gem as you select it and they are placed randomly. You have to unlock the levels by clearing each preceding level. Just match the given pairs and proceed to the next level. And as you move to higher level, you have to give your best performance. You have to beat your own time. And there could be large number of pairs in the upcoming levels. So, have fun while playing this Windows 8 game and enhance your memory power with this free Windows 8 app from the “Entertainment” section of Windows 8 store.